Online widow shopping is a favorite time killer of mine. I like to browse and look around for ages before I buy anything. But sometimes I feel like browsing the old fashioned online stores are getting less and less easy to view. Sometimes, I just want to quickly scroll through and see if anything catches my eye. Pinterest is great for browsing. The online Mecca for pretty pictures and inspiration is becoming one of my my go-to places for shopping online. Curious what I mean? Let’s say I want browse what JCrew has to offer, but I don’t have anything Ray Ban outlet specific in mind. 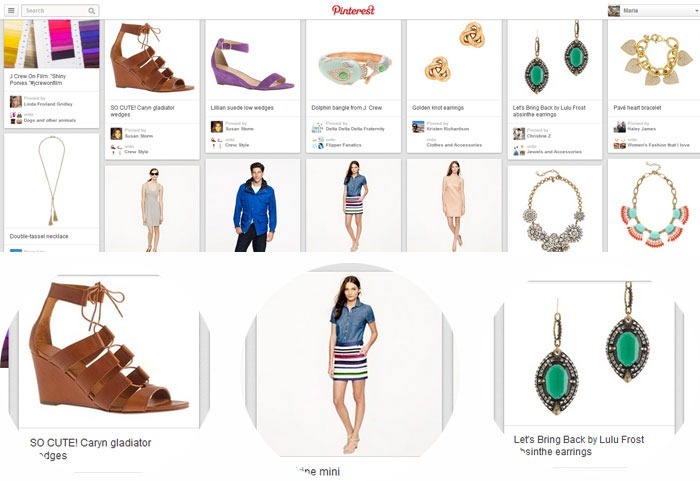 There’s a way to see what everyone is pinning from JCrew’s site. Type this URL http://pinterest.com/source/jcrew.com/ into your address bar. Viola, all of the pins from JCrew’s site pop up. Without even scrolling down those gladiator wedges catch my eye and that striped mini skirt and emerald green earrings are great too. Okay let’s try it one more time. Let’s say you’re looking for Home Decor and want to see what Pottery Barn has to offer. 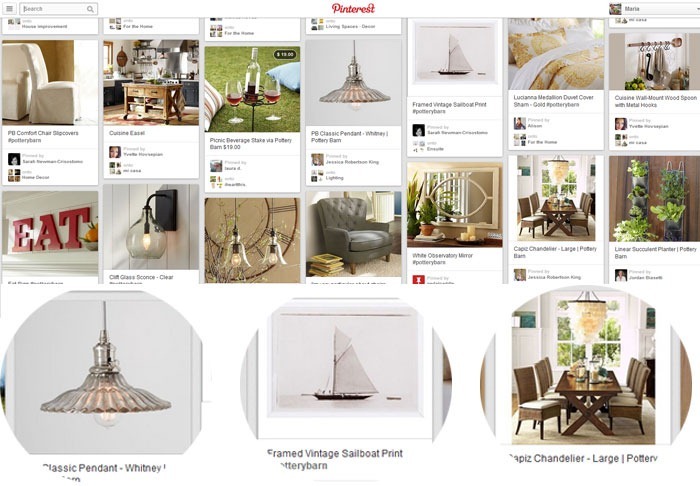 Type this URL http://pinterest.com/source/potterybarn.com/ into your address bar. Ohh pretty pendant, vintage sailboat print and that Capiz chandelier immediately catch my attention. This trick works for any website just replace the “website” text in the url below with the site you’re trying to view. It works like a charm. So you want to start a blog or you have one and are looking for ways to grow or maybe you just are curious how things work. I’ve learned a lot through trial and error about cheap oakley creating and maintaining a blog since I first started. Here’s a list of helpful programs and resources I wish I had when I first started blogging. Disclaimer: Please note that some of the links below are affiliate links and I will earn a commission if you purchase through those links. I use or have heard great things about all of the products listed below and recommend them because they I believe they would helpful to anyone looking to begin or grow a blog, not because of the commissions that I may earn from you using these products. Dreamhost has been our hosting company since starting Our Lake Life. We chose them because they have a really easy set up process for WordPress, very reasonable fees and are recommended by WordPress. They’re great for anyone that wants to start a blog on their own domain easily and economically.Oh and if you sign up be sure to use the coupon code OurLakeLife at checkout to receive $25 off a years subscription! We’ve also heard great thing about Hostgator. They offer free migration if you currently are hosting your website on another service they’ll complete the entire transfer for you for free. Which is great in my mind. I’m seriously thinking about transferring to them myself. The number of free transfers does vary by host plan thought the smallest plan offer 1 free transfer.Oh and if you sign up be sure to use the coupon code OurLakeLife at checkout to receive 25% off! When it comes to photo editing in my opinion nobody does it like Adobe. There’s a reason why it’s the industry standard for photo editing. While the big guys use the full version of Photoshop which can be rather expensive Adobe also makes Photoshop Elements . It’s a paired down version of the pro software and great at editing pictures. I find it more user friendly that the full version and I use it everyday to editing, color correction and resizing images. 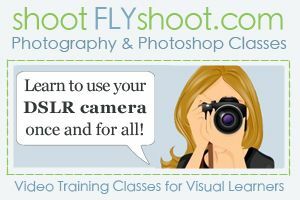 One of my go-to resources for photography and photoshop tips is ShootFlyShoot. Launched by Kevin and Layla Palmer of The Lettered Cottage fame this easy to navigate course is great for teaching anyone how to shoot in Manual Mode on their DSLR cameras. What’s really special is that it covers an entire section on interiors, something that has been lacking in other photography courses I’ve seen. Cameras can be expensive, there’s no way around it. I’ve recently update my camera to the Canon EOS Rebel T4i and I love it! It takes much better pictures indoors than my old camera and the touch screen is a great feature to have. I highly recommend it as a good entry level DSLR. Canon EF 50mm f/1.8 In addition to a nice camera lenses can really take your photography to the next level. Anyone ever wonder how the photographers get that nice blurry background? It’s all in the lens, The Canon EF 50mm f/1.8 is a well priced option, great for low light product shots and takes a really mean portrait. Photoshop Elements When it comes to photo editing in my opinion nobody does it like Adobe. There’s a reason why it’s the industry standard for photo editing. While the big guys use the full version of Photoshop which can be rather expensive Adobe also makes Photoshop Elements . It’s a paired down version of the pro software and great at editing pictures. I find it more user friendly that the full version and I use it everyday to editing, color correction and resizing images. Share a Sale is an affiliate marketing network that I use to place ads on the sidebars of of the blog. That provides pay per sale and pay per click advertising. 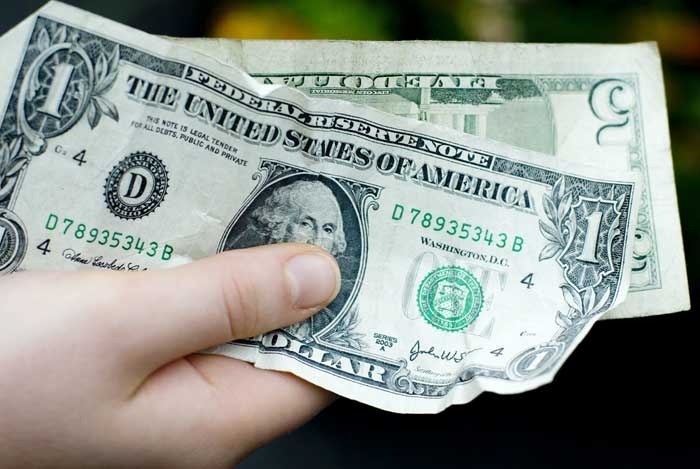 What that means is anytime you buy a product from through one of those ad Our Lake Life receives a small commission. Google Adsense is another form of advertising we use on Our Lake Life. It provides both pay per view and pay per click advertising. What that means is anytime you click through one of those ads Our Lake Life receives a small commission. Link parties are also another great way to drive traffic to your blog. I like to participate in a select few that have a proven record of sending traffic my way. Be sure to link up early though, The traffic driven to the 1st link versus the 101st link is dramatic. Some last thoughts; these are just a few of the things I’ve used and have worked well for me. From now on this post will live in the menu and be available for reference. Periodically I’ll update it and add as I learn and grow. Finally, please remember that I’m no expert here and I’m just sharing the things I’ve found useful and I hope you do to. Craigslist is like the worlds online garage sale. 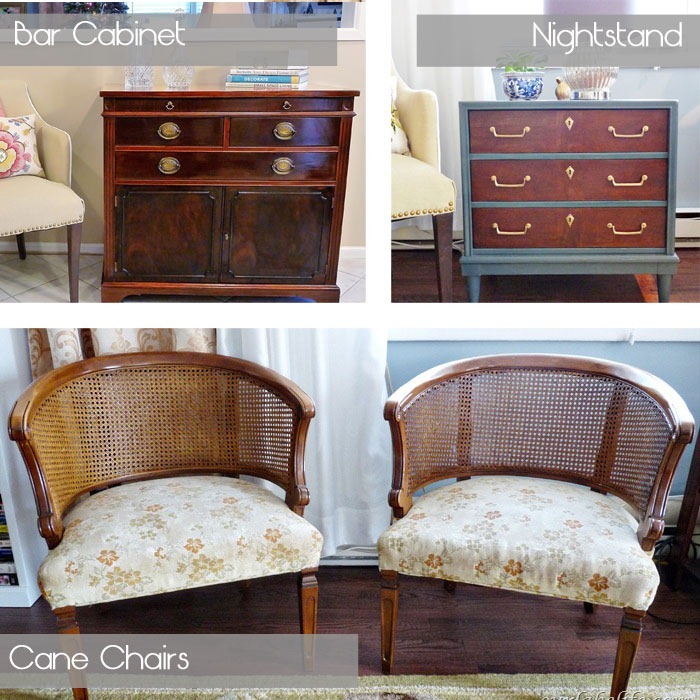 It’s a treasure hunt and it’s where we go more often than not to find awesome affordable second hand furniture. 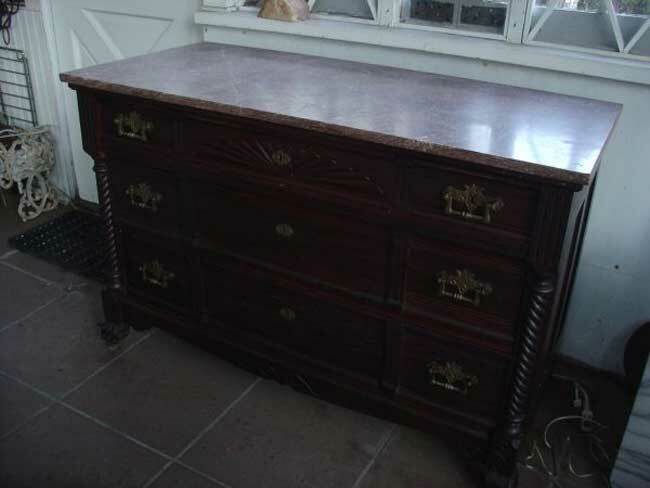 Usually the pieces need a little love which is why the owner is willing to part with them at a discount but other times people are just making way for new stuff and earning a little cash in the process. But still even with all the great deals that are available on Craigslist it can be a little intimidating for first time users. Especially when given some of the scary news stories that have circulated around involving Craigslist. My friend just recently used Craigslist to sell her coffee table and called me with a number of questions before finally pushing the publish button on her ad. 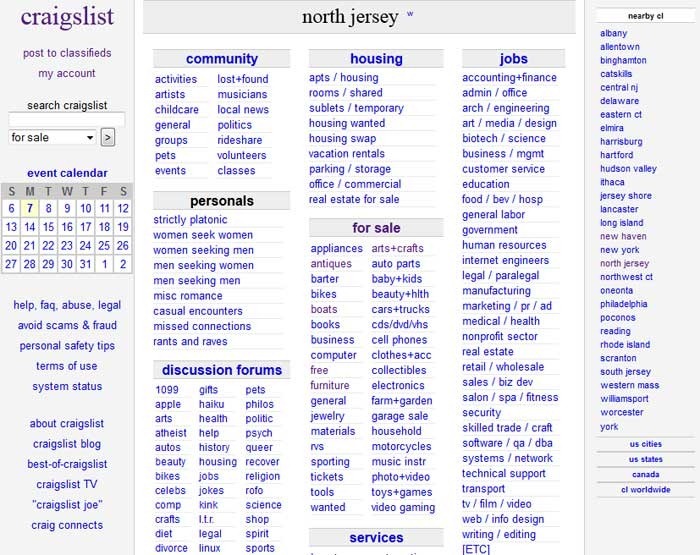 Here’s my advice all rolled in a nice little post to help you navigate the great world of Craigslist. 1. Know what you want and keep and eye out. Craigslist is like your neighborhood garage sale all in one convenient little online place but that doesn’t mean what you want will be there when you want it to be. It’s kind of like a treasure hunt, if I’m looking for something specific I’ll check everyday and keep on looking till I find it. The good stuff at reasonable prices can go really fast, so if you think you really want something don’t hesitate, contact the seller as soon as you can and make arrangements to go see it. 2. Look Past the Ugly. Yes that’s right people are notorious for posting awful dark pictures on Craigslist. But dark photos can be your friend, a lot of people will simply pass them right by because they’re ugly. Try to look through the awful photos and you just might find a treasure. Depending upon your level of expertise and how much your willing to work to make something nice is a key factor when browsing on craigslist. Are you willing to reupholster something want to try your hand at it. That cheap chair may turn out to be a jewel with a little love. 3. Be Friendly. So you found your diamond in the rough, or at least you think so. It’s time to contact the seller. Be friendly when you contact the person, introduce yourself and let them know why your calling and which add your referring to. Often times people have multiple listings if they’re cleaning at their garage so it’s always good to let them know which item you’re asking about. I’ve sold tons of things on Craigslist and if you’re creeping me out on the phone or are just plain weird chances are I won’t feel comfortable giving you my address. So be nice, courteous and above all don’t be weird. 4. Follow directions. One of the drawbacks of Craigslist gaining popularity is the increase in the number of spammers. Be a little more specific in your response. If your responding by email include your name and phone. Let them know when you can come take a look. Often times a sale is made or broken depending upon the time you’re available to come pick it up. If there’s a phone number in the listing use it. It usually puts my mind at ease to speak to someone instead of just emailing back and forth. I always feel more comfortable going to a strangers home after I’ve talked to them. 5. Ask questions. Don’t be afraid to ask , once you make contact a good ice breaker is to ask a few questions. How big is it? What color is it? What material is it made of? Depending upon the item and description there are a number of questions you could ask. I also like to ask How heavy is it and how many people do you need to carry it out. A lot of time the seller is unable or unwilling to help you bring it to the car. 7. Be Safe. Finally my last tip of the day is be safe. I always like to ask Bryan to come with me, even if it’s a small item that I could easily carry out by myself. If your willing to by yourself then always let someone know where you’re going, the address and phone number of the person you contacted. Most of the people are genuinely nice folks. I have yet to run into someone that made me run for the hills but it’s always nice to let someone know where you’re going. In general it’s a good rule to live by. So that’s it, there are my tips for shopping on Craigslist. Anyone have any good experiences on Craigslist? Any Bad? Did you score something awesome. I’d love to hear about it in the comments.